How to watch Lucky Romance: Season 1 (2016) on Netflix Thailand! Yes, Lucky Romance: Season 1 is now available on Thai Netflix. It arrived for online streaming on March 21, 2019. We'll keep checking Netflix Thailand for Lucky Romance: Season 1, and this page will be updated with any changes. Relying on the words of a shaman, a superstitious woman tries to sleep with a man born in the Year of the Tiger in order to save her sister's life. Horoscopes and fortune-tellings are her gospel. Facts and numbers are his. She'll need more than luck to win his heart. Season 1 of Lucky Romance has 16 episodes. Because different Netflix countries have different availability for episodes, you'll need to check the episode listing below to see which are available in Thailand. Shim Bo-nui, a software company employee doing everything from development to sales, searches at a casino for her boss who ran off with her salary. After Bo-nui's attempt to catch a tiger ends in failure, pro tennis player Choi Gun-wook moves into her apartment building. 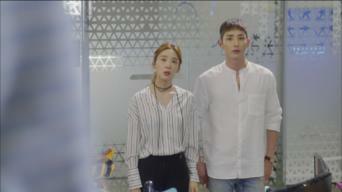 Bo-nui lets Soo-ho into her room after mistaking him for her date, but now Gun-wook waits outside. Bo-nui frantically stops Soo-ho from leaving. Bo-nui agrees to the contract on the condition that Soo-ho dates her for three weeks. She tells him that it's a matter of life and death. After seeing Soo-ho's gentle side Bo-nui asks him to spend the night, only to be refused. Gun-wook takes the downcast Bo-nui to the tennis court. Bo-nui tries to apologize to Soo-ho and tells him the truth but he drives away. 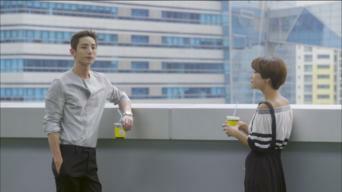 Soo-ho can't keep his mind off her and follows her after work. Bo-nui despairs as the full moon arrives without her accomplishing her task to save her sister. Soo-ho worries for her as she heads out into the rain. Resigned to Bo-ra's fate, Bo-nui heads down to the river alone. The next day she returns a missed call from the hospital and receives some news. Thanks to Soo-ho being her talisman, Bo-nui is able to see her sister. Touched by his kindness, she talks about her past as they sit in the park. After spending the night watching over Soo-ho, Bo-nui is late for Gun-wook's TV appearance the next day and doesn't answer his calls. Bo-nui tells Soo-ho how she really feels but asks him to forget about her. But when Bo-ra opens her eyes Bo-nui asks him to be her talisman again. Bo-nui draws Soo-ho's anger after trying to help his mother reconcile their family. A picture of Bo-nui and Gun-wook together appears online. Soo-ho can't stand being apart from Bo-nui and comes back from his trip early. After spending the night at her place he makes an announcement at work. Soo-ho loses his entire fortune and resigns from the company. Ryang-ha invites him to stay at his place, but Soo-ho worries about Bo-nui being aloof. After Soo-ho shields Bo-nui and gets hit by a car, Bo-nui blames herself for everything and runs away from Soo-ho and the company. Bo-nui is living with Bo-ra and teaching computers to the elderly as she plans a new game, while Soo-ho has started over at a new company.